Ticket sales: they’re either the stuff of dreams or the causes of nightmares. When things aren’t going so well, you might not even get to sleep to have the nightmares. You’re staring wide-eyed at the ceiling, asking yourself plenty of questions. How can you increase them? Where are you going wrong? What new tactics can you employ to reach that golden number? These are age-old questions that existed well before the advent of the internet, before Google Analytics, and before the punter could buy a ticket at the tap of a finger. The key to selling more tickets is knowing what stopping your customers from buying tickets. Your customers’ obstacles; their barriers to purchase. The only way you can overcome these issues is through knowledge. 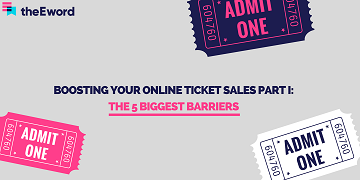 With all that in mind, here are the five biggest barriers that are currently stopping you from generating optimum levels of ticket sales. This is out of your control. It’s a case of ‘what’s hot, what’s not’. You’ve got little say in why audiences are no longer interested in certain music artists, or why holidaymakers are no longer flocking to destinations that were really in-demand last year. Demand fluctuates, and this is one of the biggest obstacles because it’s beyond your control. All you can do is be responsive, keep an ear to the ground, and move with the times. Talking of moving with the times, inflation is another thing you can’t help. Sometimes, you’re forced to make a few price-hikes, and it fills you with trepidation. Cue: social media outrage and lots of priced-out punters talking about your brand (for the wrong reasons). But there is something that you can do to combat this. Alongside the price-hikes, target high-value customers with limited-time offers, deals, and even competitions. It will show that you still care about these customers, and will transmit the message that you’re not such a money-grubbing monster after all. If you’re not using Google Analytics or some kind of tracking software, then you’re massively missing out. In fact, you’re effectively turning your back on something that the majority of your competition is already onto. With even the most elementary understanding of Google Analytics, you can get a great bit of insight into your business’s online performance. One of your most important insights is channels. Simply put, you can see how many visitors land on your site, and through which channels – whether it’s via organic (i.e. searches within search engines), paid, referral (links that lead to your site from other sites), or social media. This is just the tip of the iceberg; there’s so much more that you can do. 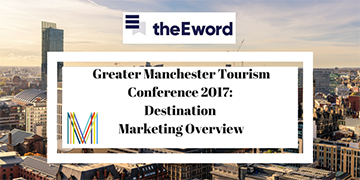 Our blog ‘The Future of Destination Marketing: How to Maximise Digital’ should help. Which leads us on to our next point quite nicely. The whole landscape has changed irretrievably, and you’ll fall behind if your digital knowledge and awareness aren’t up to scratch. ‘Everything is online now’ is an overstatement when it comes to generating ticket sales, and it’s a tired overstatement at that. 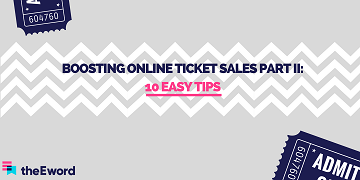 There are loads of offline ways you can drive ticket sales. In this blog, though, we’re just talking digital. Not just Google Analytics, either. 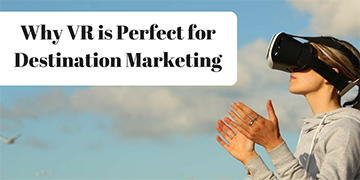 There are loads of tools out there that help you drive ticket sales and market your attraction. There are tools that were made to help you understand your audience better and to learn what kinds of content they engage with (Buzzsumo); there are other tools that are there to quite literally watch your website’s transaction process and learn what it is that could make the process easier (Hotjar). And plenty more. Check our article ‘Tools Every Digital Marketer Needs in 2018’ – it’s useful for all industries and recommends some great tools (ones that we use every single day here at theEword!). We mentioned the transaction process in the last section, and it’s so important that it deserves its own section here. Imagine the scenario: a music-lover is waiting for concert tickets to drop. They refresh the page, their cursor is hovering over the purchase button, and the air is still with anticipation. These tickets are in-demand. Time is of the essence. The tickets go live, and our music-lover clicks through. However, because of slow loading times on your site in particular, the music-lover misses out on their tickets. Or, after clicking through, they found themselves filling in a form on a page that was not designed to reserve their tickets. Again, after filling in this form, the music-lover misses out on their tickets. Suffice to say that the transaction process is everything. Think logically, and ensure that the process makes it as easy as possible for the buyer. It applies to anything, not just music tickets! So, there’s a lot to think about and quite a few plates to spin. Wouldn’t it be great if there was a digital agency out there that could help you? We’re specialists when it comes to maximising ticket sales, well-versed in marketing for attractions across the UK. Our case study for Aspro UK (aquariums and theme parks) makes that clear. Give us a call on 0161 848 4300, or fill in our enquiry form. You can even book a call with our Director Kleon – he’ll be happy to talk through your options.